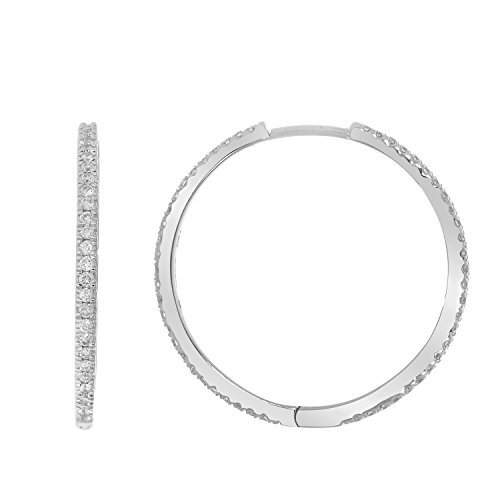 This lovely diamond Hoop earrings feature 0.50 cttw white diamonds in Micro setting. All diamonds are sparkling and 100% natural. All our products with 100% Satisfaction guarantee. Gemstone : Diamond All our diamonds are conflict free. This stunning Earring is a piece of jewel that will certainly amaze you. Items is smaller than what appears in photo. Photo enlarged to show detail Satisfaction Guaranteed. Return or exchange any order within 30 days.